Please note for the VA mortgage – No mobile, manufactured homes or raw land, acreage permitted. The VA mortgage program requires a min 620 credit score. VA will guarantee a maximum of 25% of a home loan amount, which limits the maximum loan amount to $484,350 in most locations. * Select higher-cost locations (parts of California, Florida, Virginia, etc) have higher VA loan limits. The purchase price, plus the one-time VA funding fee may be financed into the home buyers loan. VA high balance jumbo loans are also available for larger amounts up to $1,500,000. This is good for Vets in search of financing in more expensive housing locations like Miami, San Diego, San Francisco, Dallas, Chicago, DC, and Boston – please learn more about VA Jumbo Mortgages here. VA guaranteed loans are only made by approved lenders, banks, brokers, savings & loans, or mortgage companies to eligible veterans for the purchase of a home, which must be for their own personal occupancy. The guaranty means the mortgage company is protected against loss if you default on the loan. The guaranty replaces the protection the lender normally receives by requiring a down payment and mortgage insurance allowing you to obtain favorable financing terms. 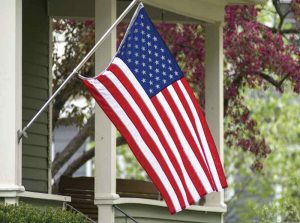 VA mortgages offer many outstanding benefits to eligible Veterans. To learn more, please contact by submitting the Request Contact form at the top of this page, you can also call us – 7 days a week. No restrictions on the seller of home or location. Home being purchased can be a buy owner sale, foreclosure, short sale, bank owned, etc. 100% financing on loan amount up to $484,350 in most locations – larger VA Jumbo loan amounts permitted in high costs locations. The one-time VA funding fee can be included in borrowers loan amount. See the 2019 funding fee chart below. The Cash Out VA refinance allows up to 100% loan to value. See below for more details. Please read more about the VA Loan Guidelines here. Veterans who served on active duty and have a discharge other than dishonorable after a minimum of 90 days of service during wartime or a minimum of 181 continuous days during peacetime. Don’t have your COE? No worries, our specialist can help you obtain your certificate of eligibility. Some lenders have access to the ACE (Automated Certificate of Eligibility) system. Not all cases can be found through the ACE system, only those which the VA has sufficient information on file for. If need help, please contact us. If you’ve had a VA loan before you can re-use your eligibility again as long as the home wasn’t foreclosed on in which case the VA would have suffered a loss and would cause you to not be eligible again. Higher “second-time use” VA funding fee may apply. This program is great for homeowners that want to reduce their current rate, but face obstacles due to being “upside down” on their home value. No appraisal or credit underwriting package is required by VA. You should be aware, however, that some lenders may require an appraisal and credit report anyway. Even if you owe more on your loan than the home is worth, contact us. The VA IRRL loan may be able to help. A certificate of eligibility is not required. We can use our e-mail confirmation procedure for VA streamlined refinance in lieu of a certificate of eligibility. A streamlined VA refinance loan may be done with “no money out of pocket” by including all costs in the new loan or by making the new loan at an interest rate high enough to enable the lender to pay the costs. (Remember: The interest rate on the new loan must be lower than the rate on the old loan unless you refinance an ARM to a fixed rate mortgage). You must NOT receive any cash from the loan proceeds. Please see the 100% VA Cash Out refinance program below is you are looking to cash out equity. A streamlined VA refi must be a VA to VA refinance, and it will reuse the entitlement you originally used. 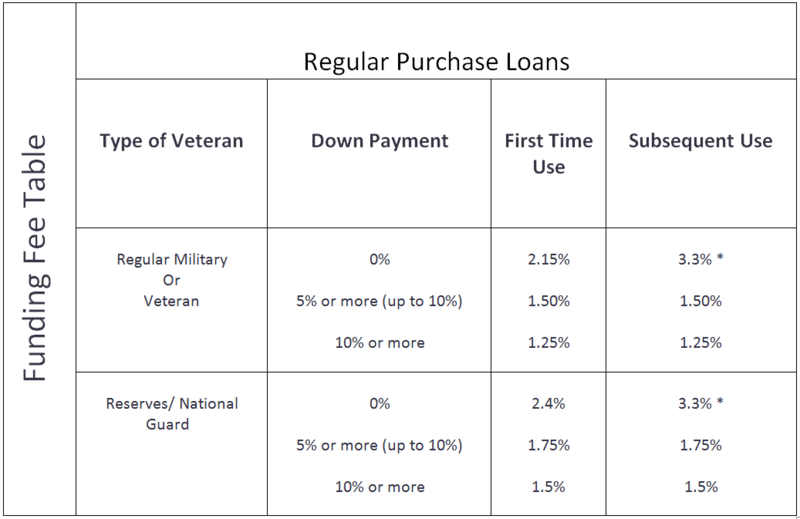 The occupancy requirement for a streamlined VA refinance is different from other VA loans. When you originally got your VA loan, you certified that you occupied or intended to occupy the home. For a streamlined VA refinance you need only certify that you previously occupied it. 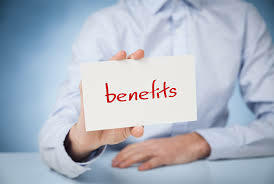 The loan may not exceed the sum of the outstanding balance on the existing VA loan, plus allowable fees and closing costs, including funding fee and any points. You may also add up to $6,000 of energy efficiency improvements into the loan. Adding all of these items into your loan may result in a situation in which you owe more than the fair market value of the house. No loan other than the existing VA loan may be paid from the proceeds of the VA streamline refinance. If you have a second mortgage, the holder must agree to subordinate that lien so that your new VA loan will be a first mortgage. 100% loan to value VA Cash Out Refinance programs are now available to approved homeowners that have sufficient equity in their home. Most VA lenders cap the cash out refinance at 90% LTV, however, we permit up to 100% of your home’s value. This is a great way to pay off and consolidate higher interest credit cards, car loans, installment loans or other debt. Most of this type of debt carries higher interest rates when compared to mortgage interest rates. 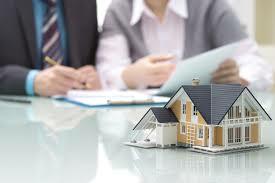 In addition, home loan interest is tax deductible. Find out today if the VA 100% cash-out refinance is right for you. Please note, the 100% VA cash out is not available for Texas homeowners. As you can see there are many benefits to using a VA home loan for your next home purchase. Loan Specialists are standing by 7 days a week to facilitate your VA purchase loan, 100% VA Cash Out or Streamlined IRRL refinance. Questions? Please submit the ” Request Contact” form button at top of your screen. You can also call Ph: 800-871-2636. Our goal is to respond to all submitted requests within 10 minutes, 7 days a week.